Enjoy the benefits of cheap vacation packages in Phuket. It's not hard to see why Phuket is considered the ultimate Thai holiday destination, whether it be for cheap family vacations or a romantic beach vacation. Phuket is a top spot for visitors to escape too with white sandy beaches and crystal clear waters. While your there you can enjoy affordable tasty cuisine and exciting nightlife without breaking the bank. 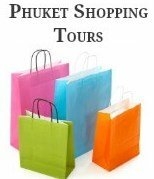 Throughout this page we will give you some tips on ways to enjoy a well-earned cheap vacation in Phuket on a budget. If you are planning a family vacation in Phuket, the main thing to consider when looking for cheap family vacation packages is to avoid traveling within the school holidays. The best thing to do is to talk to your children’s teachers to find out when the best time is to take the kids out of school. As the kids get older this gets a little harder but is still do able with a bit more planning. Most resorts and hotels in Phuket offer cheap vacation packages during the low-season months, which is usually from May through to October. Many people don’t think to visit Phuket during these months because of the northwest monsoon season. However this can be the best time to take advantage of cheap vacation packages, incredibly cheap hotel rates and amazing deals that are available. Not only is the monsoon season the cheapest time to visit Phuket, it is probably the best time. The weather is good, warm but not as hot and humid as the high season, with the occasional downpour of rain. The wettest months in Phuket are usually September and October. June, July and August are usually on average very good. You may still experience a few downpours but not as many as September and the first couple of weeks in October. The added benefit of holidaying in Phuket during the low season months is that tourist numbers are much lower and the main tourist areas are far less crowded. By booking your own cheap vacation packages online without using a travel agent; you will save yourself lots of money. We book our own cheap vacation packages by using Agoda, a reputable online hotel booking site to get the best deals for our holidays and family vacations. Whilst we are in Phuket we are also constantly in search for great places to stay that offer cheap hotel rates. If we find a hotel or resort that we feel is worth recommending we will share it with our readers throughout our pages. 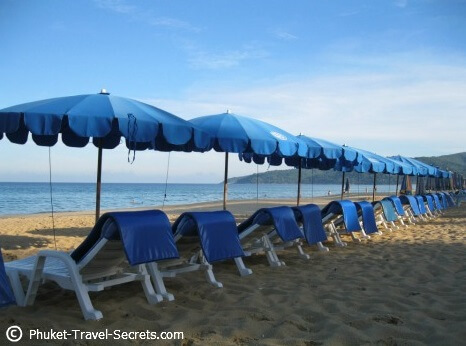 The resorts we have listed below are just a few that we like that are offering some the best deals for cheap beach vacations in Phuket. Have a look as you will be amazed how cheap these vacation package deals are, especially throughout the low season. 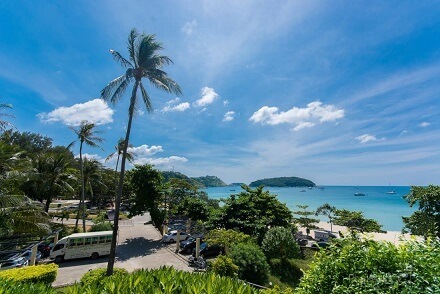 Patong Beach is the most popular holiday destination in Phuket, and there are many cheap vacation packages around for visitors who prefer to stay close to the entertainment and shopping that Patong offers. When looking for cheaper places to stay in Patong have a look at the hotels and resorts that are located in the streets set back from the beach. Club Bamboo Boutique Resort & Spa is a small boutique hotel, located only 5 minutes from the centre of Patong. All rooms are equipped with air-conditioning and individually decorated with handcrafted wooden or marble floors. Other in-room facilities include, satellite TV with 24 hour in-house movie channels, Telephone, internet access, kitchenette and/or tea & coffee making facilities, in-room safety deposit box and private terrace or balcony. Facilities include a swimming pool, spa, fitness centre and a free shuttle into Patong. 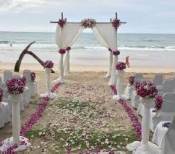 Other popular areas in Phuket include Karon, Kata and Naiharn beaches. These tourist areas are quieter than Patong and are among the best spots to stay if you are looking for an affordable family vacation or a romantic beach vacation. 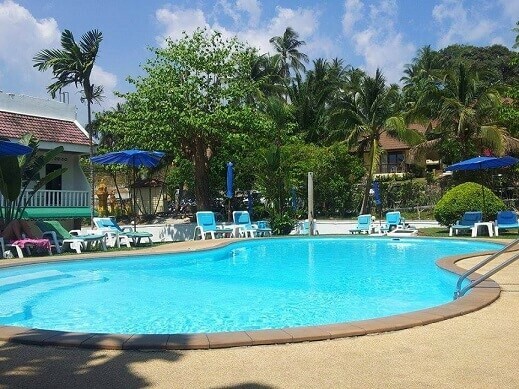 The location of this small, clean and friendly budget hotel on the southern end of Karon Beach is superb, set in an ideal spot across the road from the beach. 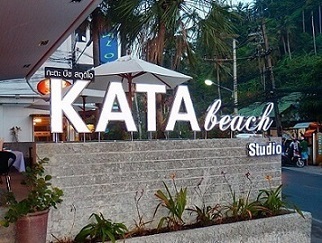 Kata Beach Studio is located just steps away from shopping, dining, night time entertainment, and only 600 meters from the beach. The apartment style rooms are set in a great location and provide great value for money. All Seasons Naiharn is located on Nai Harn beach, one of Phuket’s nicest beaches. The hotel is set in a secluded location on the southern tip of the island away from the crowded beaches. This 3 star resort offers cheap vacation packages and is an ideal location for a romantic beach vacation in Phuket with access to water sport activities, such as jet boating, para-sailing and banana boating. Read more on Agoda. 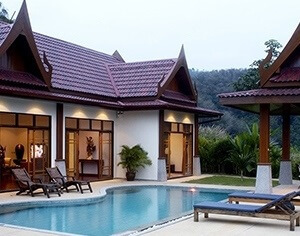 Throughout our travels we come across a multitude of nice places to stay, some of these places are rather unique and best of all perfect for those looking for a relatively cheap, beach vacation directly on one of the beaches in Phuket. Travelling to Phuket has never been more affordable, with so many flights to Phuket. From full service carriers to budget airlines offering cheap airfares and the best travel deals. As with our accommodation we also book our flights online to ensuring we get the best travel deals and cheapest fares available. When travelling to Phuket during the low season months it is wise to book a hotel or resort that has a swimming pool, as many of Phuket’s west coast beaches in the low season can be too dangerous to go swimming. You will know if the beaches are closed and too dangerous to go swimming as you will see red flags posted along the beaches.